The assumption that arrives with a mention of guerrilla marketing is that there will be a certain level of invasiveness, controversial techniques, and shock tactics. Most in advertising are admittedly guilty of considering guerrilla tactics in this way far too often. However, the Oscars demonstrated a moment of guerrilla tactics that was so innocent, simple, and ultimately successful that it is worthy of serious recognition. 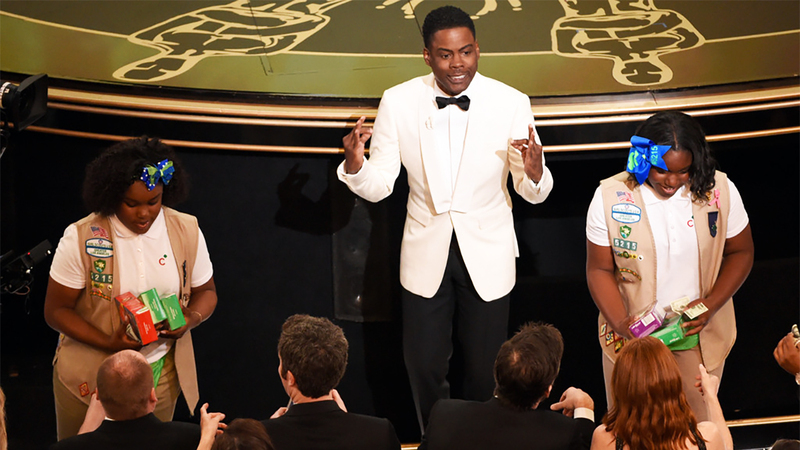 During the ceremony Chris Rock brought out a Girl Scout troop to sell cookies, a charitable cause that had no deal made with Academy or network officials and so did not pay a penny to be featured in the show. The girls raised $65,243, and were one of the leading sensations of the night in terms of brand exposure. With an event that is beaten only by the Super Bowl in regard to advertising costs, it is quite remarkable that an organisation managed to gain this much attention, and this much money, with such a basic concept. Now, they did have help. Chris Rock personally designed the idea, and obviously his influence (being the host and whatnot) helped them along the way, but what can be taken away from this event is that guerrilla marketing tactics, or any use of unconventional methods, do not have to be loud, aggressive, or feel invasive. We tend to think of guerrilla ideas in terms of how we can aggressively hijack attention, or to find ways we could appropriate existing platforms to shock people. However, this stunt demonstrates that the same principles of guerrilla mentioned above (hijacking, appropriating), can be quite positive, and even lend themselves to a more positive style as much as they do a controversial style. For small brands looking to make an impact, guerrilla tactics can be used to communicate charming, innocent, and pleasant marketing experiences.